Election officals across the country express concerns about the USPS move to cut delivery. Congress should take note and block the cut. The proposal by the US Postal Service to end Saturday mail delivery—which can and should be blocked by Congress—poses a dramatic threat to the economic and social viability of rural communities and inner cities. The move endangers small businesses that rely on affordable, universal and regular service. And it threatens the elderly, the disabled and vulnerable Americans who count on the connections made through the mail—and with the letter carriers who deliver it. But there is another threat contained in this wrongheaded plan to put the Postal Service out of commission from Friday to Monday. Cutting mail delivery would undermine democracy by making it harder for the tens of millions of Americans who vote by mail to continue to do so. Though the numbers vary from state to state, it is now generally accepted that 20 percent of American voters—including First Lady Michelle Obama—are casting ballots by mail. The numbers have increased at an exponential rate in recent years. Most mail voters do so via traditional absentee ballots, although roughly 5 percent live in states that formally conduct elections using a vote-by-mail system. And the practice is expanding; next week in California, 44,000 vote-by-mail ballots will be mailed to voters in advance of a March special election for the State Senate. In the weeks before presidential and congressional elections, tens of millions of ballots will move through the postal system, with the final period before an election seeing many days when the volume of mailed ballots exceeds a million. Weekend days are especially busy because that’s when working people can find the time to apply for, fill out and send in absentee ballots. It is also, election officials say, when family members of the elderly and the disabled are most free to help them access and complete ballots. Only those who do not understand the stresses on already over-taxed election systems would suggest that it does not matter to reduce the number of days when tens of millions of voters can obtain ballots and cast them. This is not a matter of Democrats versus Republicans, or liberals versus conservatives. While Democrats have made significant inroads, there are still regions where Republicans maintain absentee-voting advantages. This threat goes deeper, to democracy itself.. 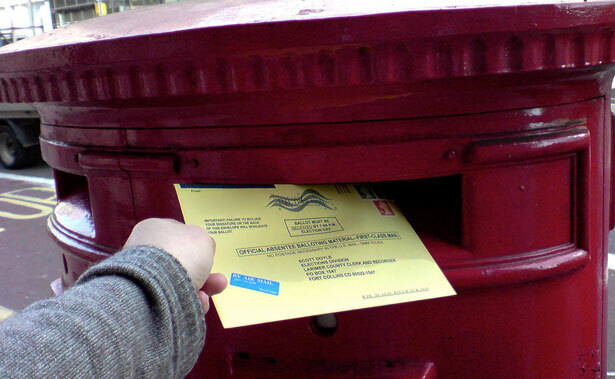 Taking Saturdays out of the rotation deals a serious blow to existing absentee and vote-by-mail operations, and reduces the likelihood that this voter-friendly approach will be expanded. One of the top election experts in the nation, Cook County Clerk David Orr, who runs elections in Chicago and the surrounding suburbs, has predicted that “mail [voting] will dramatically grow over a period of time.” But that will happen only if the postal service is reliable. That’s what is maddening about the proposed cut in Saturday delivery: with election officials looking to expand voting by mail as a response to long lines and other Election Day challenges, the reduction in service threatens the growth potential of the USPS at precisely the time when the postal service needs new volume and revenue. In Washington state, which has also moved to a vote-by-mail system, Secretary of State Kim Wyman has expressed disappointment in USPS for proposing the cut delivery days. Wyman is hustling to develop contingency plans that will have to be implemented if the cuts go through. But in communities across the country, local election officials are worried that it will be difficult to address the gap that would be created by the elimination of mail service on key weekends before local, state and national elections. Doug Chapin, the director of the Program for Excellence in Election Administration at the Hubert Humphrey School of Public Affairs speculates that election administrators may have to develop their own systems of secure drop boxes to manage the masses of mailed ballots. That will cause more expense, and raise the prospect of disenfranchisement—especially in Northern and Western states that have placed an emphasis on making it easier to vote. Notably, vote-by-mail states Oregon and Washington consistently rank among in the top five for turnout, along with states that have high levels of absentee voting, such as Wisconsin. This is an issue where policy makers need to put the pieces together. Congress is addressing the issue of long lines at polling places. Eliminating postal services will not reduce lines on Election Day, it will increase them. And that’s a step in the wrong direction. Take Action: Save the USPS!